The oxygen sensor, which is also known as the lambda sensor, is situated in the car’s exhaust manifold. It measures the amount of oxygen in the gases that leave your car through the exhaust. Dr Gunter Bauman created this sensor in the 1960 decade while working for the Robert Bosch GmbH company. The sensor became famous and was widely used in vehicles that were made after 1980. The O2 sensor acquires data from the gases leaving your engine and sends the data to the car’s central computer to analyze. The onboard computer ensures your engine is working in tip-top condition, therefore if it senses any irregularity in the exiting fumes, it notifies you via a number of ways. However, just like any other mechanical equipment, an oxygen sensor is bound to fail sometime. If it fails, your vehicle will act abnormally, but you won’t know how to solve the problem if you don’t know how to diagnose an oxygen sensor failure. We are sure you would like to know, therefore, for your help we have created a list of symptoms and solutions that will give you valuable insight. The oxygen sensor is an electronic device that is installed in your car which measures the amount and concentration of the oxygen in gas or liquid. It is also known as the lambda sensor. The advanced automobile technology is capable of manufacturing the most efficient oxygen sensors. The oxygen sensor is an essential component of all vehicles that were made after the 1980s. the principal function of the oxygen sensor is to collect data on how much oxygen is available for combustion and send it to the engine management system. The system then utilizes the data for fuel injection and other purposes. Oxygen sensor plays an important role in ensuring optimal performance of the engine and efficient fuel mileage. This sensor can also provide data about the emissions that are being produced and sends and it indicates when the engine emissions are more than the standard limits with the help of the CEL and oxygen sensor light. A bad or a failing oxygen sensor will not only affect the engine performance of your car and the efficiency of the fuel, but it will also make the emissions reading faulty. As a result, during an emission test or inspection, you can get into trouble as the emission tests would fail. The oxygen sensor is needed by your vehicle because the oxygen intake of your vehicle can vary due to various reasons, such as the air temperature, the altitude of your car, the temperature of your engine, the load on the engine and the barometric pressure. 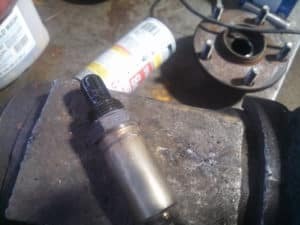 A failed oxygen sensor will not let the computer sense the air/fuel ratio of for your engine. As a result, the readings are manipulated and the performance of the car is impacted. Oxygen sensors usually do not fail completely and their efficiency is reduced over time. Cars can malfunction anytime, so you need to know when to visit the mechanic. Here are a number of early symptoms that can point towards an impending oxygen sensor failure. Sensors are directly connected to a car’s onboard computer. The computer receives data from the sensors and analyzes it but if it receives incorrect data or no data at all, it triggers the Check Engine Light on your dashboard. You might know by now that the Check Engine light can light up due to a number of reasons, now you know a failing oxygen sensor can be one of them. A bad O2 sensor will distort the engine’s tuning. Not only will an incorrect amount of fuel being dumped into the system, but the air to fuel ratio will be in tatters. This will result in more fuel being used and bad mileage. If you are frequently filling up your gas tank, a failing oxygen sensor could be the reason behind it. A distorted fuel to air ratio will destroy the tandem inside the engine and its cylinders. 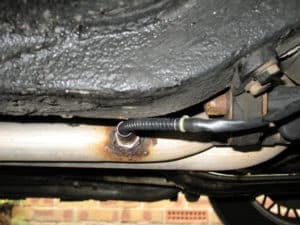 This will result in more misfires, black smoke rising from the exhaust and uneven idling. The O2 sensor plays a vital role in monitoring the engine’s timing and its fuel delivery among other things, so if there is any harm to the sensor your overall engine health will deteriorate. Fortunately, sensors are small engine parts and they are easily replaced, but still, we will look at ways to solve O2 sensor issues without spending too many dollars. We cannot stress the usage of OBDII scanners enough. It is just a vital instrument for every car owner and a great tool to diagnose car related problems, especially if they are related to sensors. That is because sensor failure is usually reported to the car’s ECU, which lights up the Check Engine light. The only way to know about the actual problem is to use an OBDII scanner. The scanner will let you know of the exact problem, which you can discuss later with your mechanic. Sometimes, the error code can be reset and the issue goes away, which means you might not have to take that trip to the mechanic. These two things are required to test the oxygen sensor directly. Using a high impedance voltmeter and a backprobe you can test the integrity of the O2 sensor while it is still attached to the car. All you have to do is, check the wires surrounding the sensor and make sure they are in optimum condition. Once you have determined that start up the car and wait for it to heat up. Place the voltmeter and check the sensor in specific settings. Doing all this can be troublesome for many of us, so it is better to take your car to the mechanical workshop. At the mechanic’s place, you can get a clear diagnosis of the problem and learn if your sensor needs repair or replacement. There can be multiple oxygen sensors on your vehicle. These sensors are located in the exhaust stream of your vehicle. One of the sensors must be located before the catalytic converter installed in the exhaust manifold. Another two or one sensors would be located after the catalytic converter. This helps to monitor the performance of the catalytic converter by comparing the before and after readings. These sensors may have different locations and numbers based on the design of your vehicle. The average replacement cost of an oxygen sensor is between $200 and $260. The part can cost between $20 and $150 while the labour cost varies between $90 and $250. The cost of oxygen sensor replacement can vary a lot depending on the brand of your vehicle and the labour involved in the repair. From reports of different areas and vehicle types, we have calculated an average range of the costs involved in the replacement of the oxygen sensor. 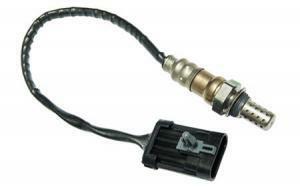 If you plan to replace the oxygen sensor by yourself you would generally need to buy only the parts. The price for these parts can be anywhere between $20 to as much as $150 depending on the brand of the vehicle that you have and the place you are buying it from. If you hire a technician or a mechanic to do the job, it would be a highly variable for the overall cost, depending on how much the labor costs you for fixing the problem. It will generally cost you higher if you go to a high-end car shop than getting it fixed by an independent mechanic. If you hire a mechanic to do the job, he would charge you an additional $90 to $250 for fixing the issue apart from the costs involved in buying parts. Due to such a high variation in the prices, it is a good idea to do some market research and get multiple quotes from the mechanics. You may also ask people in your local area who have recently got it replaced or repaired. The oxygen sensor is a small piece of equipment situated in a very sensitive area, meaning it can get damaged very easily. The wires surrounding the sensor are also prone to damage, so it is not unnatural to face oxygen sensor failure. Experts even recommend changing the O2 sensor after a few thousand miles just like you change the oil in your car. However, sensors can last longer than oil, way longer, so you would probably have to empty your pockets after every 50,000 – 70-000 miles. This also means the sensor is not invincible, it is a mechanical part, which can survive for so long. Make sure you are visiting your mechanic for regular service and checkups so that this can be avoided. However, if you have no other choice than to change and replace your car’s oxygen sensor, it is wise to consider the many price alternatives. Your vehicle can experience a number of changes if the oxygen sensor goes bad, almost all of them would be negative changes. The check engine light is an important indicator for you to know that there is something wrong with your vehicle that needs to be taken care of, and it will light up in case of a bad oxygen sensor. Another sign that would indicate a failing oxygen sensor is a message on the computer of your car which says that the heater circuit has malfunctioned. These two signs together would mean that it could possibly be a failing oxygen sensor. These signs can also be due to high emissions due to the bad performance of your car because of some other reason. Usually, it could be complicated to know this by online checking these things. Checking, testing and diagnosing for a bad oxygen sensor can be tricky and time-consuming. Therefore, it is better to simply take it to the expert mechanic and get it all done if you don’t have enough knowledge about it. If you are familiar with these things and have some prior knowledge, you can go about doing it easily. Here is a step by step guide that you can follow to carry out diagnostic tests for the bad oxygen sensor. • If the values are over or under this range, this may be due to a bad sensor or engine performance. • If improper values, Test the Oxygen Sensor Response to a Lean Fuel Condition.